Just a week ago the Costigan family, of Australia, were celebrating the birth of baby Ayla. Now they’re arranging her mother, Tara's funeral. The body of Tara Costigan (28), a professional carer and mother of three, was found in the laundry room of her block of flats on Saturday. An axe was found nearby. Police suspect she was the victim of domestic violence. Marcus Ruppel, her former partner, has been charged with murder. Tara has two sons in addition to baby Ayla -- Rhily (11) and Drew (9). Just a day before the murder Tara had applied to the court for a protection order against Ruppel. The Canberra Times newspaper reports that it’s believed Ruppel forced his way into her home, killed her with an axe, did grievous bodily harm to another woman and also assaulted a man. He appeared in court on Monday but didn’t apply for bail. The case was postponed until 17 March. 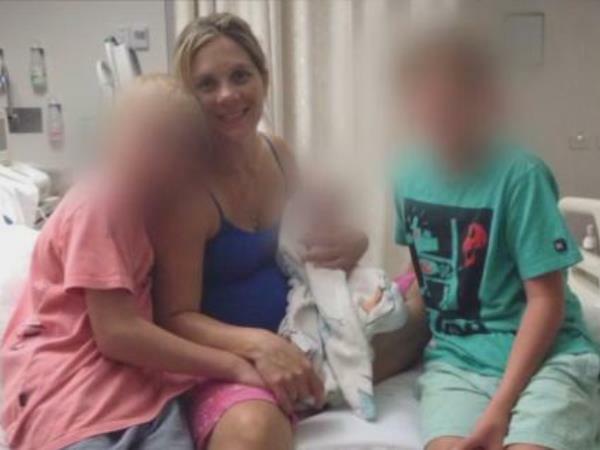 Meanwhile, Tara's friends and family have set up an online fund to support her three children. The site reads "This 'fund me' is about three kids who have been left without a mother. Two boys and a one-week-old little girl. Their beautiful mother Tara was taken too soon in a horrific incident." "I'm hoping it will go towards the kids, they're never going to get their mum back, but a little bit of money can go a long way," Tara's friend Emma Luke said. "If it helps the boys get through school and the little baby girl get some new clothes. She's not going to know her mum." Emma said the children are currently being looked after by family members.